Simply press the contour gauge onto a shape. 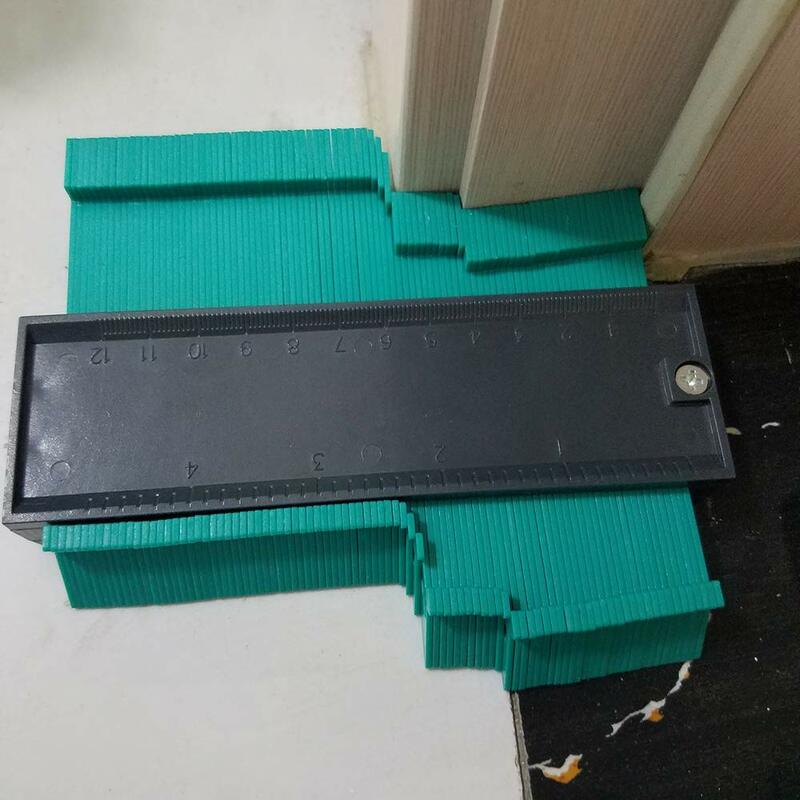 DURABLE: This professional profile gauge made of high quality ABS plastic, tough, durable, high strength, durable, anti-rust. FUNCTION: Contour gauge duplicator is perfect for duplicates irregular shapes and contours, great for a template for odd shaped corners for cutting the pattern correctly. APPLICATION: This profile measuring tool designed for a precise contour and long-lasting use. Suitable for any shape, such as ceramics, keys, tiles, laminates, carpets, winding pipes, circular frames, ducts ,carpet, checking dimensions,and many objects. HIGH ACCURACY: High definition cutting line, clear enough, easy and convenient to read. MUST-HAVE ITEM: Useful tool allows you to duplicate a profile exactly for operations on car bodies, woodworking, to get the curve of moulding and transfer it to a board and for all kinds of modelling. Trying to duplicate profiles and contours on your woodworking or auto body projects? Work with less hassle with the Contour Gauge Duplicator! Perfectly measured and duplicated contours every single time!